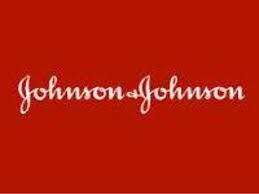 Johnson & Johnson (NYSE: JNJ) announced today that Ethicon, Inc., has completed the acquisition of Auris Health, Inc. for approximately $3.4 billion in cash. Additional contingent payments of up to $2.35 billion, in the aggregate, may be payable upon reaching certain predetermined milestones. With Auris Health’s robotic platform technology, currently used in diagnostic and therapeutic procedures in the lung, Johnson & Johnson will advance its commitment to combatting lung cancer and expand its digital surgery portfolio across multiple surgical specialties. The Auris technology complements robotic platform technologies currently in development in general surgery with Verb Surgical, through the Johnson & Johnson collaboration with Verily, and in orthopaedics with the acquisition of Orthotaxy. Johnson & Johnson aspires to bring disruptive innovation to the full continuum of procedures, including open, laparoscopic, robotic and endoluminal. This press release contains “forward-looking statements” as defined in the Private Securities Litigation Reform Act of 1995 regarding the acquisition of Auris Health. The reader is cautioned not to rely on these forward-looking statements. These statements are based on current expectations of future events. If underlying assumptions prove inaccurate or known or unknown risks or uncertainties materialize, actual results could vary materially from the expectations and projections of Ethicon, Inc., any of the other Johnson & Johnson Medical Devices Companies and/or Johnson & Johnson. Risks and uncertainties include, but are not limited to: the potential that the expected benefits and opportunities of the acquisition may not be realized or may take longer to realize than expected; challenges inherent in product research and development, especially at an early stage of the development program, including uncertainty of clinical success and obtaining regulatory approvals; uncertainty of commercial success for new products; competition, including technological advances, new products and patents attained by competitors; challenges to patents; and changes to applicable laws and regulations, including tax laws and global health care reforms. In addition, there are risks and uncertainties related to the ability of the Johnson & Johnson family of companies to successfully integrate the technology, operations and employees of Auris Health, as well as the ability to ensure continued development of Auris Health products. A further list and descriptions of these risks, uncertainties and other factors can be found in Johnson & Johnson’s Annual Report on Form 10-K for the fiscal year ended December 30, 2018, including in the section captioned “Cautionary Note Regarding Forward-Looking Statements” and “Item 1A. Risk Factors,” and in the company’s most recently filed Quarterly Report on Form 10-Q, and in the company’s subsequent filings with the Securities and Exchange Commission. Copies of these filings are available online at www.sec.gov, www.jnj.com or on request from Johnson & Johnson. Neither the Johnson & Johnson Medical Devices Companies nor Johnson & Johnson undertakes to update any forward-looking statement as a result of new information or future events or developments.